We have a web interface for running a report. The report can be pretty complex. There are various topics that can be included in the report, and each topic has sub-topics. We're looking to redesign this because when you select a checkbox, it pushes all the other checkboxes down and out of view. We have thought about making the checkboxes collapsible, but one of the benefits of the current implementation is it lets you see ALL of the checkboxes you have selected. 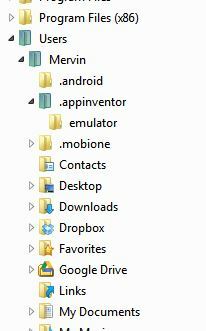 If the checkboxes became collapsible, it would be harder to view everything that has been selected. Any recommendations for an alternative? You could initially just have the user select from the list of main checkboxes. 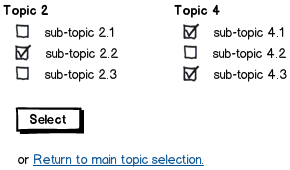 Once they've chosen the boxes, they can press select to go to a list that contains the sub-topics. The idea is that you uncheck what you do not want instead of checking it. I would go with the concept of collapsible checkboxes as that is a affordance which has become pretty common with the use of file explorers which allow users to expand and collapse sections as needed. Not the answer you're looking for? 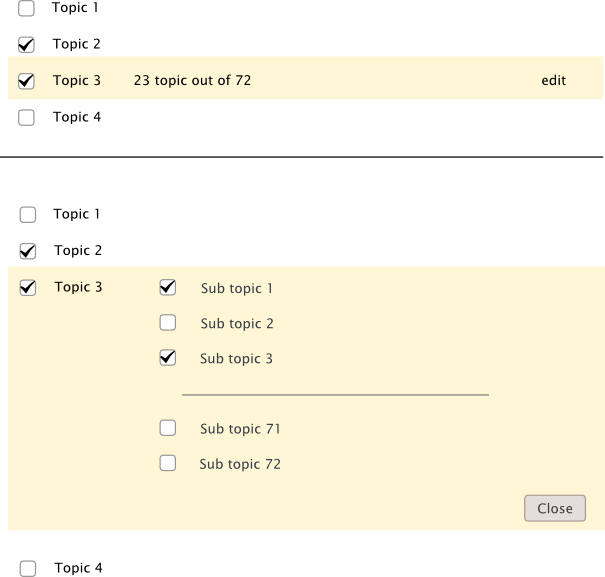 Browse other questions tagged forms checkboxes lists or ask your own question.